Senator Tom Coburn, M.D. 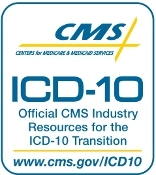 (R-OK) issued a white paper at the end of May proposing an indefinite delay for the transition to ICD-10. The contentious switch to the new code structure is already facing a proposed delayed compliance date of October 1, 2014, with healthcare industry heavyweights making their views known during the now-closed comment period. The College of Healthcare Information Management (CHIME) and the American Health Information Management Association (AHIMA) have both recommended against any further delays in adoption of ICD-10, while the American Medical Association (AMA) also favors an indefinite delay. The white paper by Senator Coburn and Jason Fodeman, M.D. calls on the Department of Health and Human Services (HHS) to indefinitely delay the implementation of ICD-10 “until more meaningful changes are made to lower costs and reduce administrative costs.” It also claims that most of the new codes in the set are “attributable to excessive details” rather than new conditions or diseases, and dismisses claimed benefits of ICD-10 like smoother medical billing, a decrease in miscoded and rejected claims, and greater ease in stopping fraud. AHIMA’s senior director for coding policy and compliance, Sue Boman, rebuts in the newsletter Inside Health Policy that many of the “meaningful changes” in question are dependent on ICD-10 adoption and it is increasingly important to get more and better data to make responsible decisions. Medical billing software such as McKesson Practice Choice, Medisoft, and Lytec will need to be updated to handle the new code sets when ICD-10 is implemented, and Microwize Technology is on top of the current trends in healthcare IT.